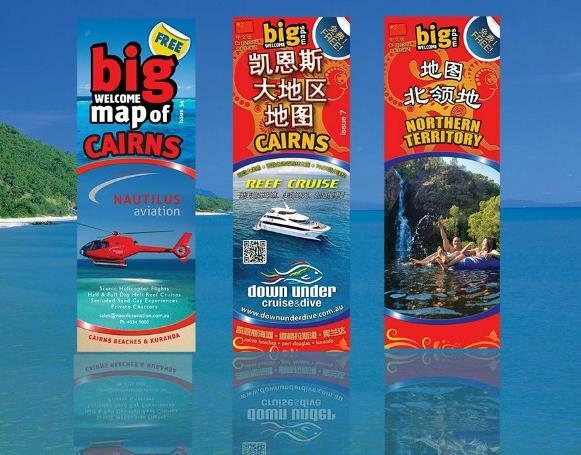 Magman Publishing produces the Big Welcome Map of Cairns, Chinese Big Welcome Map of Cairns and the Chinese Big Welcome Map of the Northern Territory. Our maps come in an easy fold-out version and tear-off desk pad format. The Big Welcome Map of Cairns is printed twice a year and once a year for the Chinese maps. Our maps are easy to read and comprehensive making them the ‘must have guide’ for visitors and an excellent marketing tool for your business. The Big Maps are distributed throughout the Cairns, Port Douglas and Tablelands region. For a full list of all our stockists visit our ‘Get a copy of our map’ page. *The Big Welcome Maps are not to be reproduced or printed ©. Maps are fantastic and a great help to our guests. 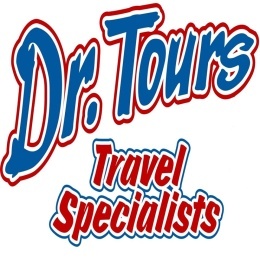 Our Chinese travellers are very grateful to get information in their own language. Also very helpful for directing guests to restaurants etc in Cairns.